We’re finally starting to see more detailed and colourful jewellery creep back into the scene. 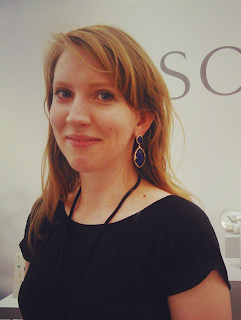 For me, it’s been a long winter of super minimalist pieces, and admittedly I’ve jumped on this bandwagon too now wearing a variety of minimalist gold pendants and choosing gemstones which neutral colours rather than bright and vibrant colours. With all this minimalism and modernism things have started to look a little boring and often a little too similar, but there’s one trend I’ve seen getting bigger that’s taking jewellery back towards a more detailed aesthetic. This isn’t a vintage aesthetic, but perhaps a more ancient one as this trend is all about ancient coins. Funnily enough, I feel these coin pendants, and rings look somewhat refreshing when a few years ago I would have thought they looked a bit old fashioned when very simple jewellery was in vogue. 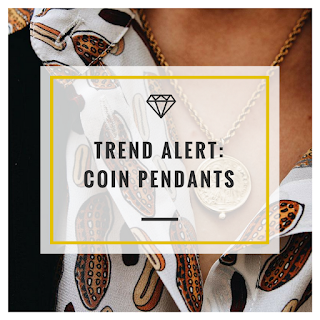 I’ve seen this trend mostly with pendant necklace as they make a good size pendant and layer well with existing styles you might own. One thing that I would advise is to check out the size and see if you can compare the pendant to a real coin. I often picture jewellery to be much bigger based on any online photos, and this will help with any disappointment you might have. 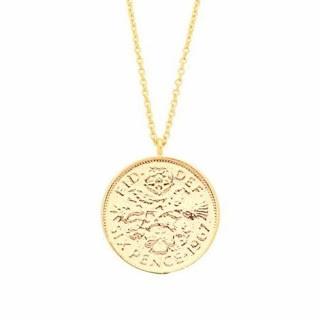 Inspired by Roman coins this simple design is a modern take on the old world style of coins. I really like the triple bale at the top and the arc over the coin adding a point of difference. The coin is quite pristine and tidy relative to other pendants. 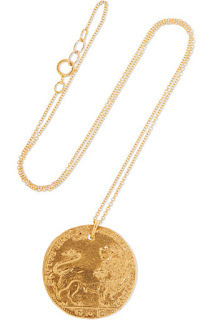 This pendant is surprisingly large and with a gorgeous lion symbol. The chain has more spherical links making the chain more like a belcher chain.The pendant is nicely rustic without looking too bohemian or too pristine. This steel and zinc coin has a really dark and old look to it without the worry of getting an antique piece. It's on a fine curb chain with two people on the coin. 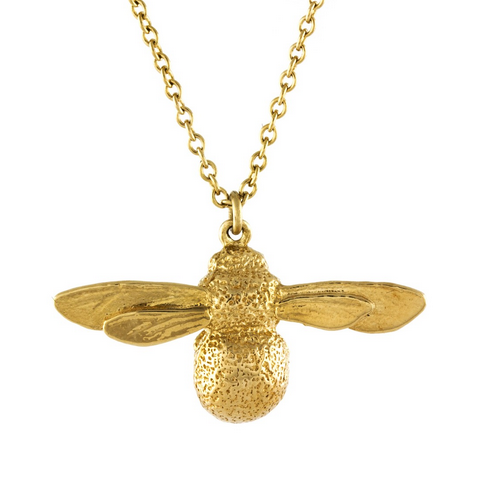 This piece is quite unisex in its aesthetic and could easily be worn with yellow gold or silver. This has to be my favourite from this treasure trove. It's a surprisingly large pendant, and I love the bezel set emeralds around the edge. 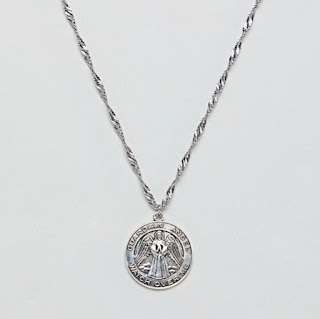 This medallion pendant has an engraved message surrounding the angel in the centre "Guardian Angel Watch Over Me". I particularly like the curved and twisted chain adding something different to this vintage style necklace. 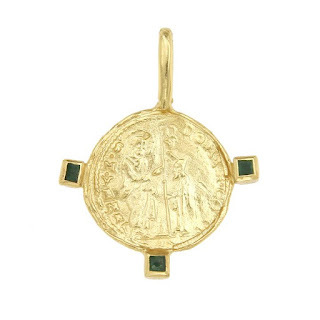 Having two coins in the same pendant really distinguishes this necklace from many of the others. I love that it's moulded from real coin giving a more authentic feel. 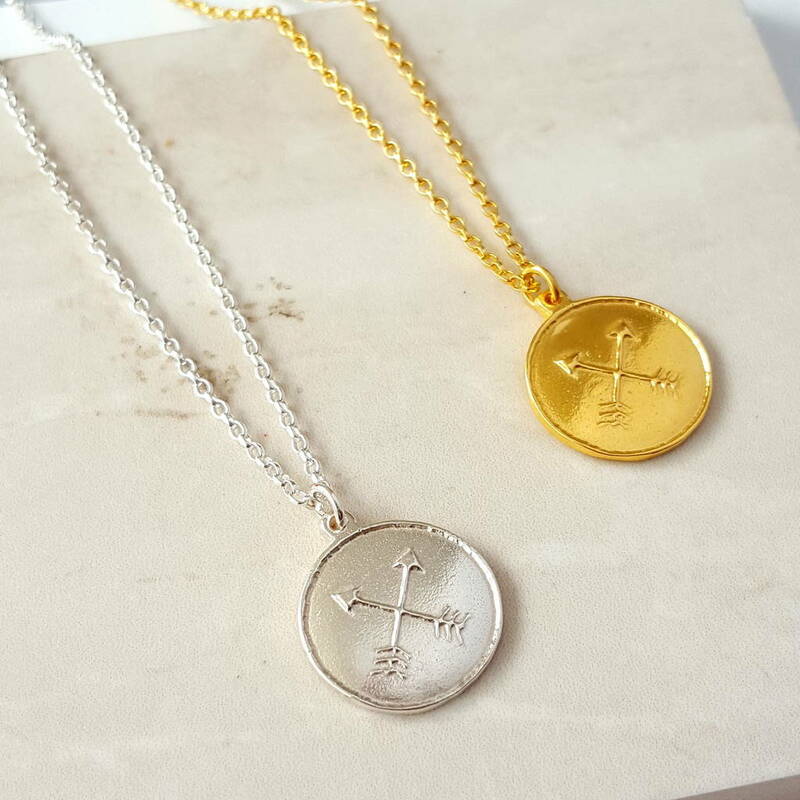 These gold vermeil pendants have a symbol of two arrows crossed over with is a Native American symbol. The pendants are much more simple with a smoother coin and clearer symbol, but if you're not looking for something as old world looking as the previous coins, this is the one for you. This Lucky Six Pence Necklace from Estella Bartlett has been cast from a real vintage sixpence coin and from the “Spectacular! Spectacular” collection inspired by the circus. 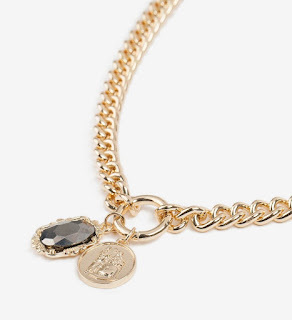 This necklace is perfect for tapping into the simple disc necklace trend. 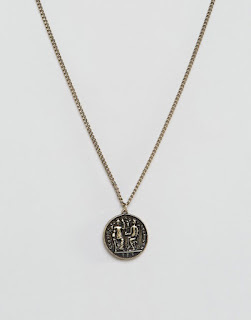 I really like this stone and coin necklace from Topshop as the chain is gloriously thick and the coin features two figures in robes. I also really like that this necklace features two pendants making it stand out from the other coin pendants in this edit. 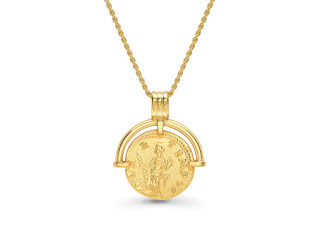 This mini Marie pendant is not strictly a coin but was inspired by an ancient coin that was given to Monica Vinader. It's quite popular as I used to see this often worn at my office. 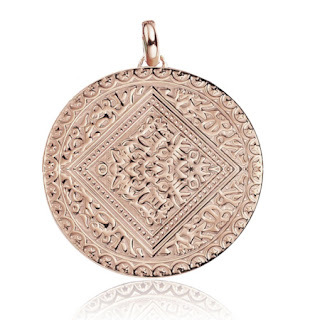 There aren't many rose gold coin pendants as naturally, they look more like the real thing in silver and gold, but I love the amount of detail on this pendant.